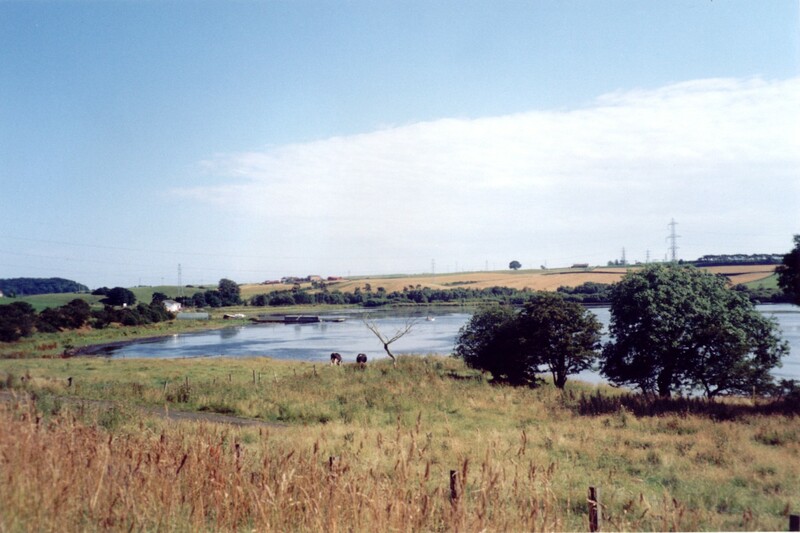 This site was built by Ian Fraser as an extension to the first-ever Lochgelly web site, created by his younger son Neil in 2000. Originally called "Lochgelly Now and Then," Ian's site at first featured only old and current photos of the town while Neil's was much more varied. An email from a Canadian reader Michael Sawicz, who was brought up in Lochgelly Happyland, encouraged Ian to start a Memories page, the first of many features introduced over the years. The popularity of the site was shown by the fact it was listed as the No. 1 "Lochgelly" answer on Google for the next ten years. It never dropped off the front page and this remarkable record was achieved without any corporate, official or financial assistance. Ian was especially pleased when Beryl Wilson gave him the photo album of her late brother Billy Richardson, a proud Lochgelly man who started collecting pictures of the town two decades before anyone else. Lochgelly couple Mike and Sheena Cook generously gave Ian permission to publish a fascinating account of life as a miner in 1896 as written by Archibald Cook. Mike's father, Michael, had Cook Square named after him. Everything on this site, including the photos, may be copied for any reason whatsoever but a mention of www.lochgelly.net would be appreciated. #Ian was brought up in the Stewart Crescent prefabs before moving to the Main Street flats west of St Serfs Church and ended up in Park Street after 30 years in Station Road. #His parents, Tom and Grace, were the only husband and wife elected to Lochgelly Town Council. Fraser Drive is named after them. #Ian started work as a reporter for the Lochgelly Times and then spent 30 years with Scotsman Publications before joining the Dunfermline Press as sports editor in 1995. #He was also a director of Cowdenbeath FC for 18 years up until their championship success in 2006, their first title win since 1939. #His wife Anne (Howieson) bought Lochgelly Post Office in 1989 and she ran it successfully until they both retired in 2001. The arrival of 2014 brought an internet phenomenon to Lochgelly as the town folk responded to a new site in their thousands. Behind the explosion of interest was Derek Johnstone, helped by his fiancée Lindsay Dobbie, and he hit on the idea of starting a "Lochgelly Past and Present" group on the Facebook web site. Hundreds of members joined in the first few days of 2014 and as news spread worldwide the total speedily broke the 1000 barrier. Current membersip now tops 2700 and whole generations are enjoying swapping memories and contributing almost 3000 photos. Lochgelly web site creator Ian Fraser soon realised that Derek's site was one for the future and nominated him for the prestigious "Local Hero" annual award from Kingdom FM in the best group category - and the judges agreed with him that Derek was a deserved winner. Ian and Jim Kinnell also put Derek forward as a candidate for Lochgelly''s "Citizen o the Year" and he duly won that accolade as well. Although the majority of the group appear to prefer the Lochgelly Past concept, there is still a fair amount of Present interest and this was seen to advantage when an appeal to find any long-lost relatives produced several aunts, uncles and cousins for one hopeful enquirer. This was surpassed in October, 2014, when a plea from an American lady was published at lunchtime and before the day was out she was chatting to her sister, a Lochgelly group member who had not even known she existed. The group is open to all Facebook members and is free to join. Anyone interested in Lochgelly is urged to join the crowd now and keep the Happyland spirit alive.